For this months UMass Motorsports super car spotlight, we’ve decided to go with Concept One, a powerful electric sports car that has been hailed as the most powerful electric sports car in the world. Concept One is using a similar kind of propulsion setup to the one found in Tesla cars. A 4-wheel drive made up of 4 electric motors for each wheel. It develops whopping 1200 HP, and can run approximately 210 miles on a single charge. Car includes a 82 kWh battery pack under its hood. Acceleration 0 to 60 is achieved in 2.5 seconds. Even though the car is a 4-wheel drive, steering is adjustable. What this means that you can set the car to rely more on the front two wheels or the back wheels for traction. That way making steering easier for unexperianced drivers, who aren’t accustomed to an all wheel drive. Checkout a demo of the car in the video above. 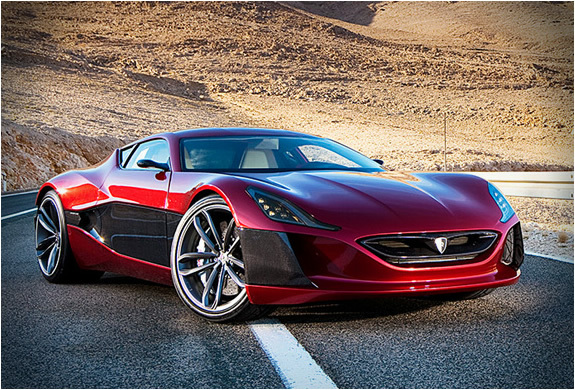 Car creator, Mate Rimac, also talks about the car in this video. Car interior is highly luxurious, with touch screen displays, leather seats, you name it. Everything on this car screams top of the line. Another interesting tidbit about this car is that it was create by a small car manufacturer called Rimac Automobili from Croatia. It really goes to show that you don’t have to be a huge multi-million dollar car company to compete in this explosive field. Let me know what you think about this supercar.